Today I visited the pre--k class at The Goddard School Parker to talk to them about the Green Bag Lady Project. Today two volunteers, Jeri and Rose helped me cut, press, label and sew. This picture is the pile of novelty print bags I now have to sew! As usual I was so busy chatting and sewing I forgot to take photos of us in action!!!! I've been contacted by the director of a Pre-K program in Parker to come and speak to the class about the Green Bag Lady Project. 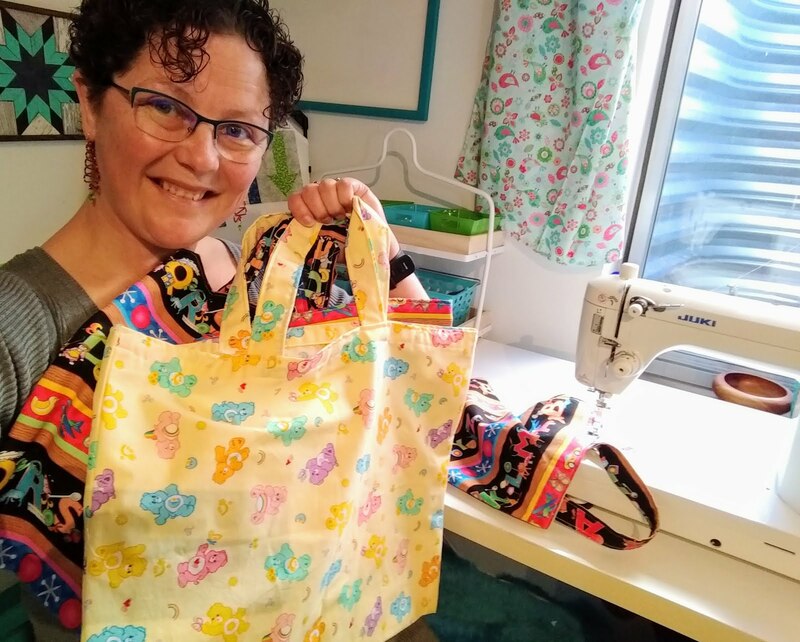 I'll take along a plain bag for each student to decorate with crayons, so I've been busy sewing up a storm to get ready. I'm planning to ask all my friends to donate any old sheets, pillowcases and tablecloths to this chapter as I know lots of people are clearing clutter ATM after the Kon Marie fad! Here's the first batch of 29 plain bags ready to be decorated mid April. And tomorrow is our prep and sew day! 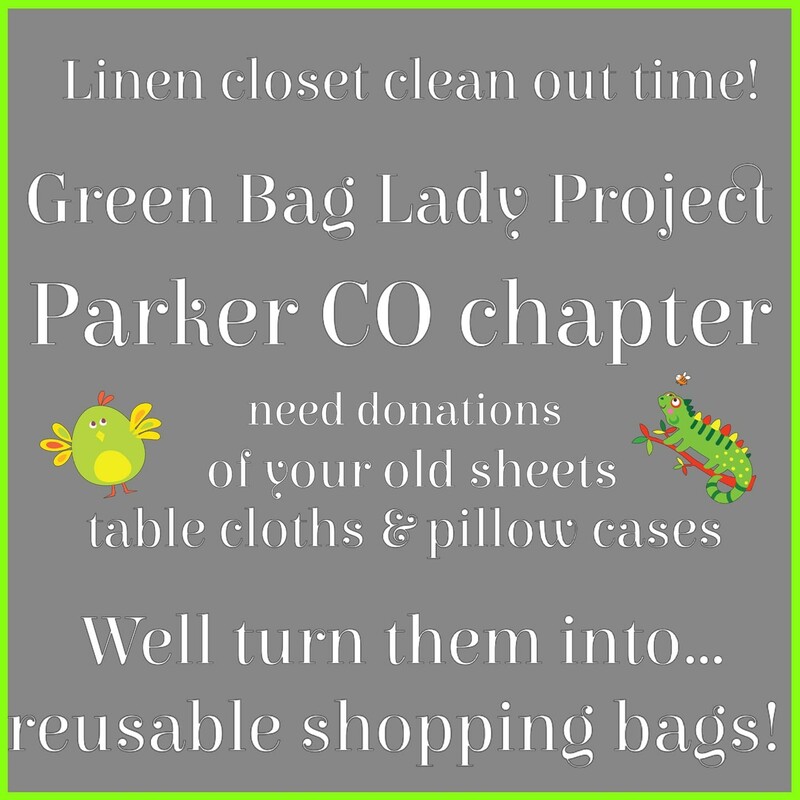 After five+ years making bags for the Green Bag Lady Project I've agreed to start a second Colorado Chapter right here in Parker Colorado!! !